Well my good readers, in the midst of all this heat it looks like another CPU cooler has landed in front of me. This time its from a slightly less known brand, Spire, and we’re looking at the Spire TME III CPU cooler. TME is short for TherMax Eclipse, for those who don’t know. This is a large CPU heat sink designed for enthusiasts and overclockers. Lets see if this one stands out from the crowd. So what have we got here? It looks like the Spire TME III uses direct-touch heat pipes. Some people vouch for this solution, while others are quite the opposite. This is the first direct-touch heat pipe CPU cooler I’ve ever used, though my old GTX 480 used one. 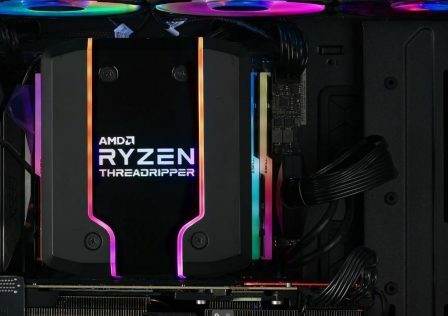 Applying thermal paste with this type of cooler can be tricky; the most common recommendation is to put a small line of paste on the heat pipes that make direct contact with the CPU. Those heat pipes are a mighty wide 8mm too, and there are five of them, which is a slight upgrade over the usual 6x 6mm configuration. Looks like this product officially has “killer” looks, too! Black nickel coating, opposed to the normal nickel plating that gets boring more quickly. Two 120mm x 25mm PWM fans are included, which is very nice to see. I’m tired of $60-$70 coolers coming with no fans. Even Thermalright stopped this nonsense, but other manufacturers have yet to catch up. Glad to see Spire is not one of them. These fans also have a so-called Nano bearing. I can’t find any info on these bearings, so I’ll just leave it at that. We’ll see how loud it is or isn’t later on. 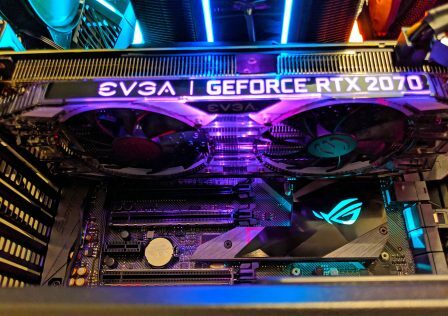 Looks like there is no LGA 2011 support, and it has a very modest TDP rating of 150W. Some stock CPUs are rated for up to 130W, and a highly overclocked CPU, particularly my > 4 GHz 45nm quad core, are closer to 200W. But a cooler this size really shouldn’t have much problem, as long as you use appropriate fans. The cooler arrived in a practical box with a carrying handle on top, complete with specifications and the like. Inside it is well protected and an accessory box is on top, including some mounting hardware and fan mounts. Lets move on and see the cooler itself. The Spire TME III is fairly large, but not nearly as large as some other heat sinks out there. A 120mm fan would definitely cover the fin surface area, no 140mm fan support here. The textures on each fin really stands out. These dimples are supposed to increase the heat transfer rate. Here’s a better look on the top, which also shows the layout for the five 8mm heat pipes. They occupy a decent amount of the fin surface area, and have good exposure to air from the fans. The fin density is pretty high, though not the highest I’ve seen. The fins are aluminum, unlike the copper heat pipes. Notice how they’re curved in near the heat pipes, in order to help direct air through them. Although said to be black nickel plated, this is not the darkest heat sink I’ve seen. It looks fine though. Notice how the sides are blocked off by a vertical metal plate, in order to prevent air leakage so that air only goes straight through the heat sink. You can see a fan mount in this picture, it’s a little piece of rubber. More on this later. Looking down under the fins, and between the heat pipes, you can see passive fins to maximize cooling capacity. Here are the five 8mm direct-contact copper heat pipes. Note that there is no nickel plating where they make contact with the CPU IHS, in order to maximize heat transfer. The surface here is smooth for best contact. Here is one of the two fans it came with. Performance is good indicated by the specs above. Both fans have 4-pin PWM connectors. The fans are mounted via these little pieces of rubber. A total of eight are included, they attach to the cooler and then you just place your fan on them, making sure the rubber goes through the end mounts. It’s a strange mounting system and moves around during installation, but don’t worry, your fans won’t move once they’re seated and spinning. Because they’re rubber, they absorb some vibrations too. Here’s a comparison of the TME III next to one of its competitors, the Cooler Master TPC-812. 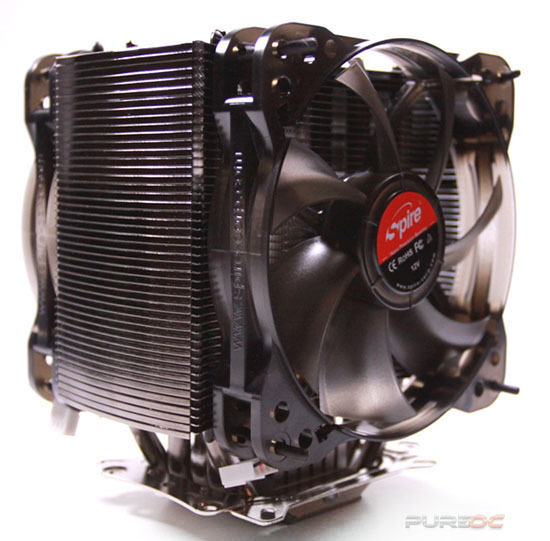 This shows that the Spire TME III is smaller than the average enthusiast CPU cooler. So what issues, you ask? RAM clearance. 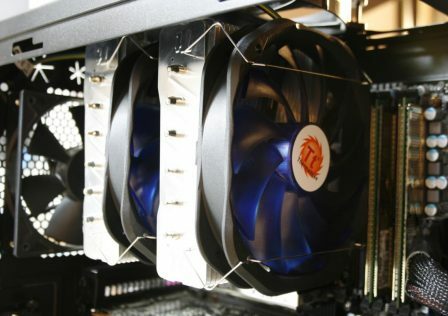 This heat sink is shorter than others, so the fans are mounted closer to the motherboard. As a result, one of the fans touches one of my RAM sticks, and I use very small G.SKILL ECO series RAM. This alone isn’t much of an issue, it’s just that these two parts are touching. 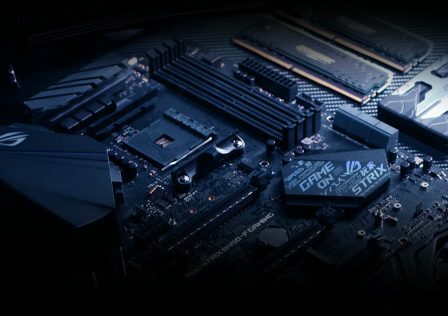 However if you have RAM that has taller heat sinks, you won’t be using the Spire TME III. Below is a photo demonstrating this lack of RAM clearance. Although an aftermarket fan is installed in this picture, the RAM is also in the second slot. With the RAM in the first slot, the default fan still makes contact with the RAM. You can’t move the fan up, due to the rubber mounts. They’d just fall back down. So like I said, you must use low profile RAM with this cooler. Anything like Corsair Dominators will not fit. Apart from this, my impression is mostly positive. The fan mounting system is awkward but does the job. Both 120mm x 25mm and 120mm x 38mm fans are supported. The mounting system is good too, so lets move onto performance. Before looking over the results, let me clear up the testing methodology, system, and all that stuff. First the system. IntelBurnTest testing software, set to maximum stress for 20 passes. RealTemp monitoring software, maximum core temps recorded and used for comparison. No idle tests, since they’re meaningless. Idle temps should only be recorded if you’re looking for problems with your setup. Testing was done one day after installation, to let thermal paste cure. I’ll be testing and comparing the Spire TME III, Cooler Master TPC 812, and Prolimatech Megahalems. They’re all tested using Arctic Cooling MX-4 thermal paste, in a room that’s about 85 degrees Fahrenheit (29.4 degrees Celsius). All three coolers were tested with their stock fan(s), a Panaflo U1 120mm x 38mm fan (2705 RPM, 114.7 CFM, 45.5 DBA, about 9 mmH2O static pressure), and Panaflo U1 push/pull for the overclock test. Since the Megahalems didn’t come with any fans, I used the Cooler Master TPC 812’s fan in the first test. So with this out of the way, lets look at the results. For this first test, the CPU is not overclocked, and all coolers are tested with their stock fan configuration. This means push/pull stock fans for the Spire TME III, and only the included with the TPC-812 and the same fan on the Megahalems. As you can see in the above result, the Spire TME III has the clear advantage since it comes with two fans. This advantage isn’t drastic though, only 1-2 degrees across the cores. The TME III’s fans weren’t audible throughout the tests, being drowned out by my PSU and GPU. Now we will simply swap the fan(s) to a Panaflo U1 120m x 38mm fan in Pull. CPU is still stock. Results are now closer together, but the TME III still in the lead by 1-2 degrees. Impressive. Next up, I crank up the heat by overclocking the CPU, and install a second Panaflo fan for push/pull. The stock fans cannot keep up with this overclock. Yikes! I was about to shut off IntelBurnTest, but I risked it all and let it run. However, due to the high temps provided by the TME III, I shut it off after the 9th pass. It’s the hottest of the bunch, being up to 5 degrees hotter across the cores. This doesn’t look very good, those are dangerously high temps. My i5 760 is really angry at me right now. It looks like the Prolimatech Megahalems won the overclock test by a small margin, while the Spire TME III won the non overclocked tests. I have to admit, I’m rather disappointed at the overclock performance, but keep in mind that this is a last gen 45nm CPU and a hot one at that. Sandy Bridge and Ivy Bridge CPUs wouldn’t get this hot at similar frequencies. So there’s not much more to say here, lets conclude this review. The Spire TME III CPU cooler is not revolutionary, it’s a decent CPU cooler that shows its limits when overclocking older generation CPUs. Now for the scoring, 5 is the highest score in the subsections while 100 is the highest overall score. Performance: This cooler performs alongside the best at lower loads, but at 4.2 GHz on my 45nm i5 quad core, the TME III shows its limits and struggles to dissipate enough heat. The stock fans are quiet at least. I’ll give it a 4/5, since this type of overclock is usually overkill and with newer CPUs it should be fine. Value: The Spire TME III has an MSRP of $64.95 USD, or 48.99 Euros. Compared to the coolers I tested it against, that’s about the same as the Megahalems which includes no fans, and $5 less than the Cooler Master TPC-812 which includes one fan. 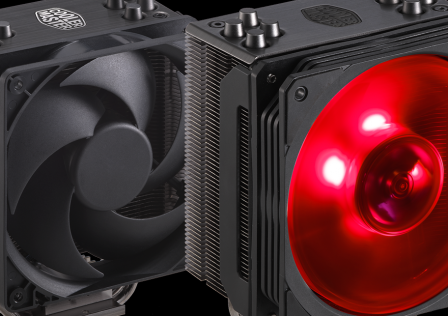 However other coolers cost much less, such as the CM Hyper 612 PWM which goes for $50 and includes one fan. 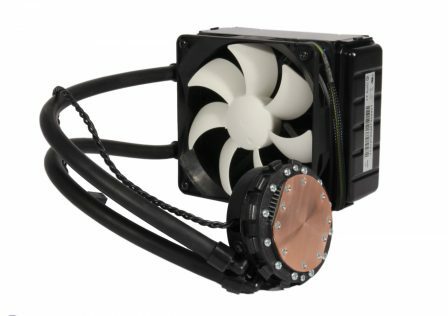 Various offerings from Swiftech, as well as EVGA’s Superclock cooler go for $50 or less too. I’ll settle for a 3.5/5 here.